What do you do on your day off? Do you clean the house, binge watch TV or do you drag your better half outside to take some pictures of your new sneakers? Typically, my day off this week fell on the day with torrential downpours. The start of the week; sun was blazing with temperatures in the 20's. My day; muggy, overcast and then monsoon-like rainfall. Anyway, this is probably a more accurate representation of the weather over here and what my new Vans will have to contend with. With the current 90s renaissance, Vans are the sneakers of choice. 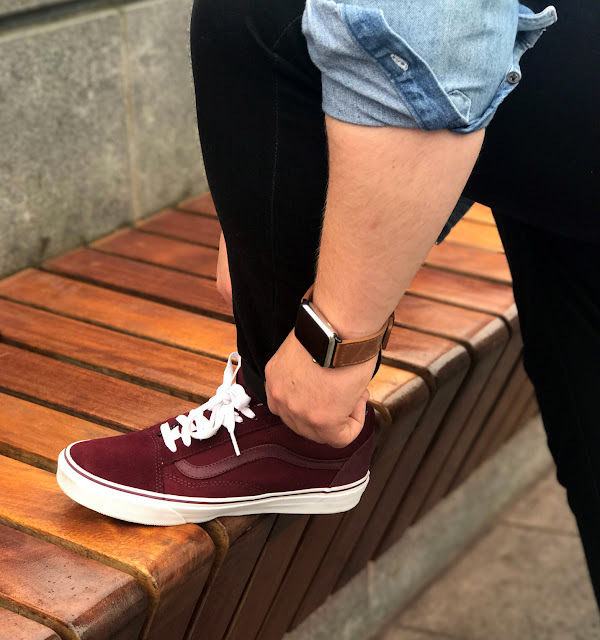 Their low profile versatility means they work with pretty much any casual outfit and look great with a rolled/cuffed hem to show off your socks. The distinct honeycomb textured sole stems from Vans heritage as a skater shoe, designed to give better grip to the board. 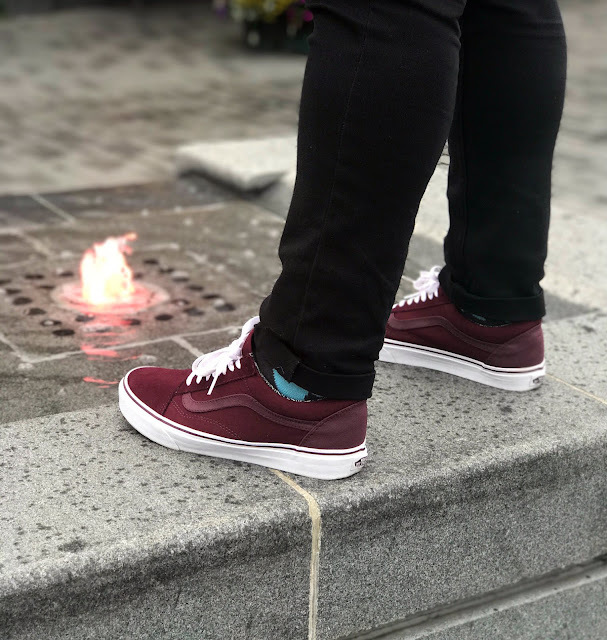 Celebrating their 50th anniversary last year, Vans have not altered their original designs much (even sticking to the skate logo designed in the 70's by the then-CEO's teenage son); a testament to the classic, perpetual appeal and influence Vans have had on the street-style scene. 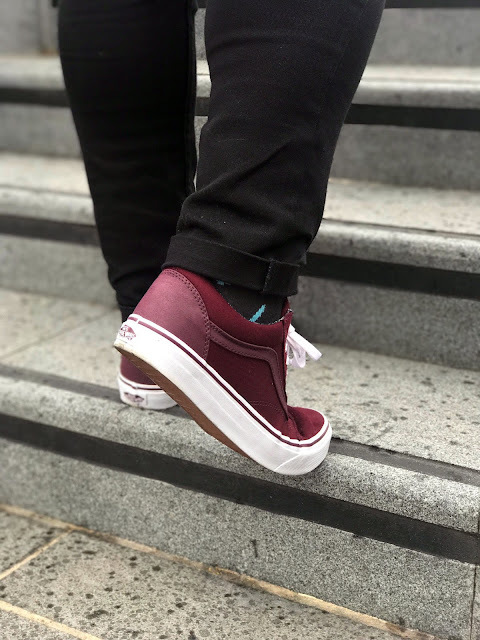 Vans biggest appeal in my opinion is the gender and age-defying versatility of the range. 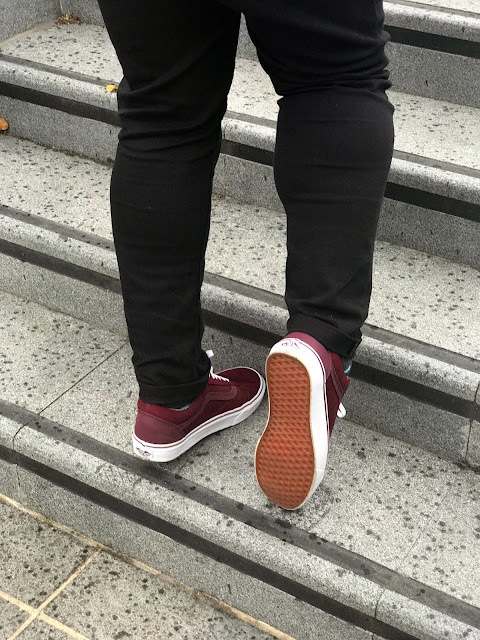 The uncomplicated styling means they never go out of fashion ergo they are beyond trends and can be worn regardless of your self imposed style limitations. 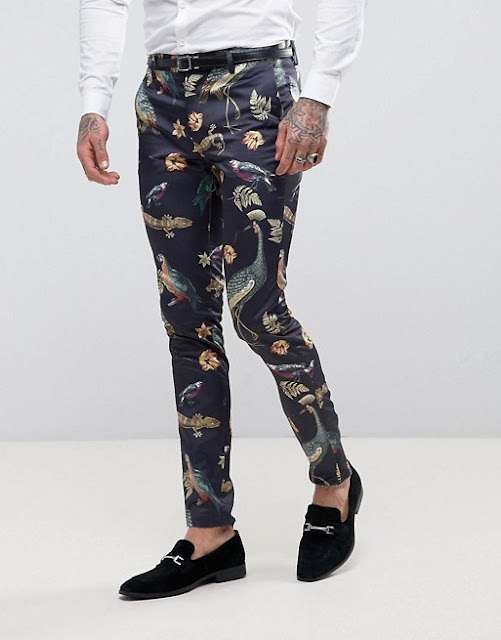 I'm entering my late 30's soon enough and I can't see me stopping wearing them any time soon! 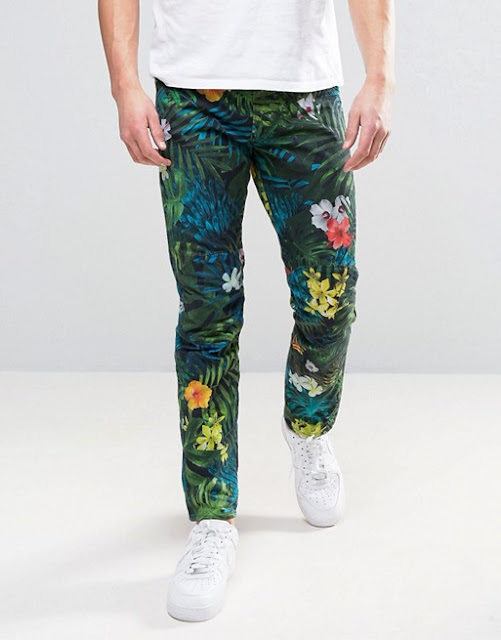 Any time the temperature rises to double digits over here it's taps aff time for the great unwashed but if you want to bring some actual jungle to the urban jungle, the perpetual tropical trend is the perfect injection of colour and pattern. 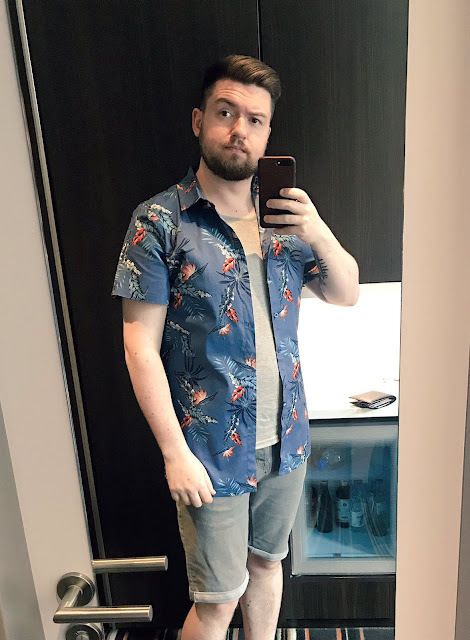 I picked up my tropical print shirt from the Kloth vintage sale a year or so ago. I've been quite subdued in my style of late, sticking to muted colours and avoiding patterns. However, if there is ever a time to experiment with your style, it's summer. Cheese plant/monstera leaves, hibiscus flowers, flamingos, palm trees, birds of paradise, cacti; - so long as it's from a warm country, it's going to work for this trend! 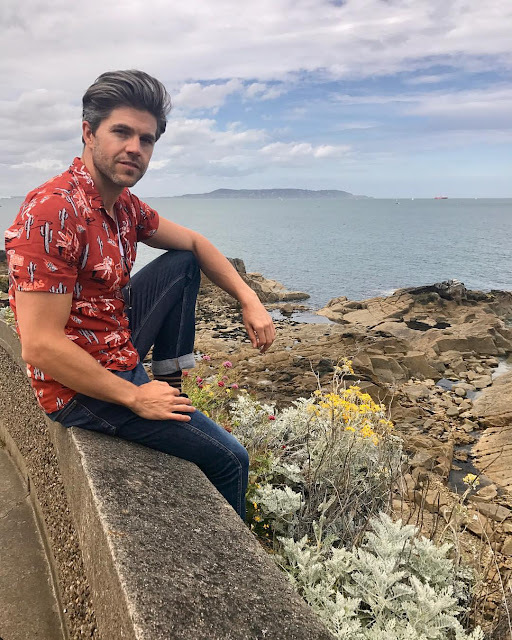 The beauty of this print is it can lend itself to almost anything, from accessories to shirts, trousers, t-shirts and shoes. Remember to not add too many patterns at once as this can just look messy and take away from a real statement piece. 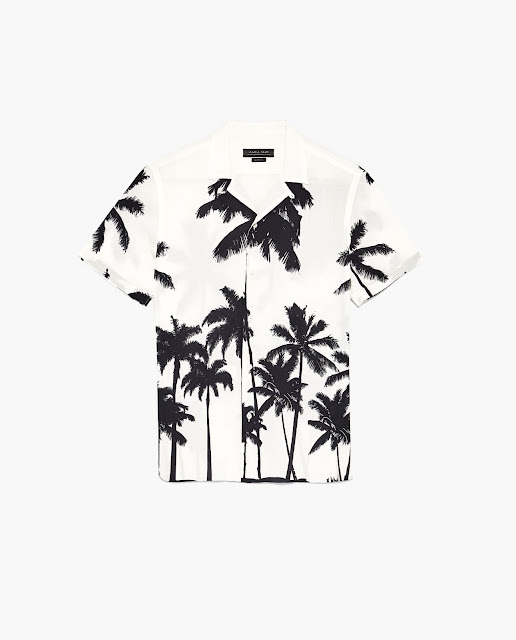 For a chic alternative to the usual colours, this black & white bowling shirt will look great paired with cropped black trousers or jeans. Heading to a wedding? 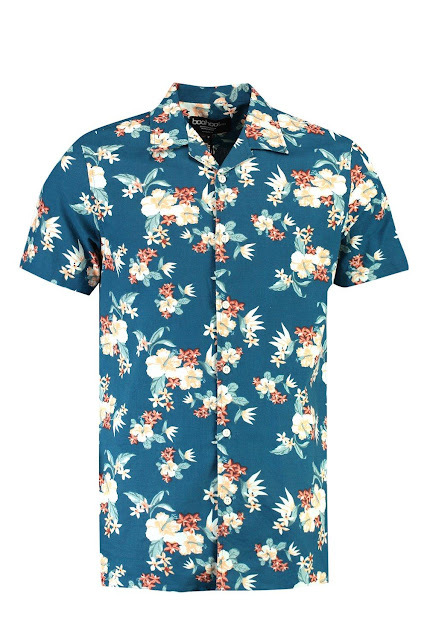 Ditch the usual suit & tie and steal the show with this print. I spotted this on my recent trip to Berlin but decided not to buy it. My lovely better half was down in Dublin last week and picked it up for me as a surprise! I can't wait to wear it. Denim rather than the satin-look trousers above, these jeans look best worn with simple white or soft greys. Caelan wore a similar Boohoo shirt (now sold out) on our trip to Berlin, paring it with simple grey denim shorts to allow the colours to really pop. 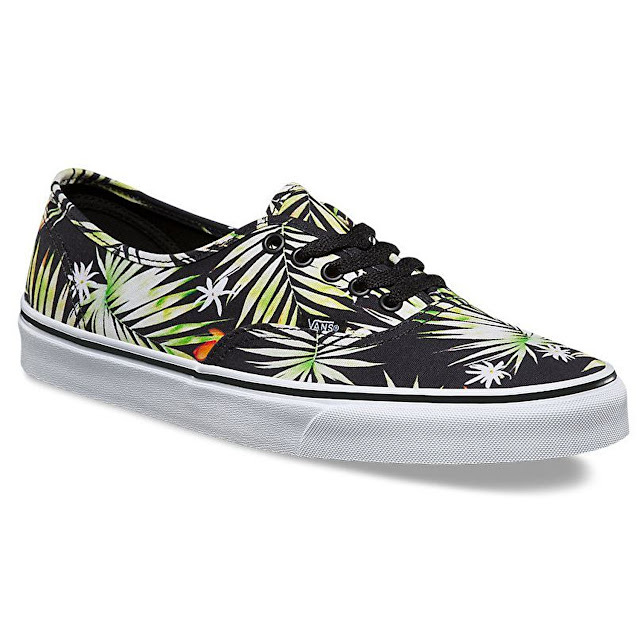 Tip: If you are going for a printed shoe, keep your jeans or shorts plain to avoid clashing patterns. 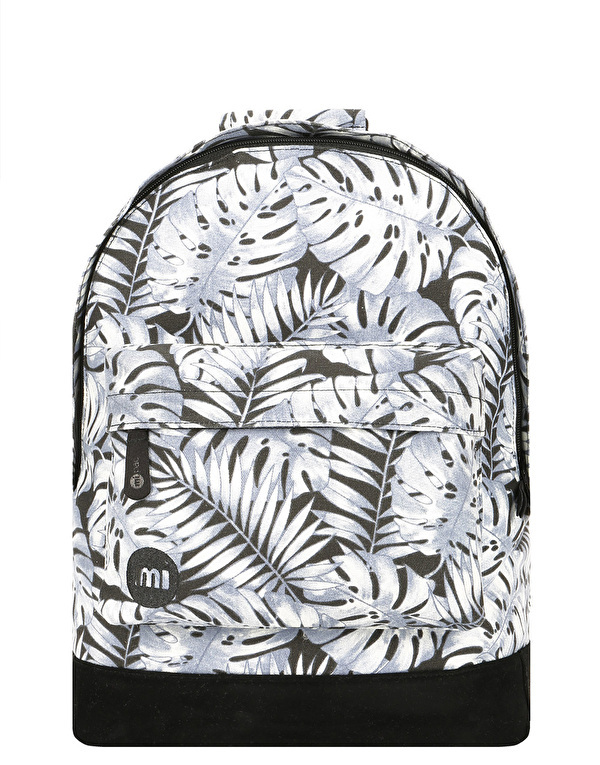 If you're a little cautious of this trend, dip your toe in with accessories such as this bag from MiPac. 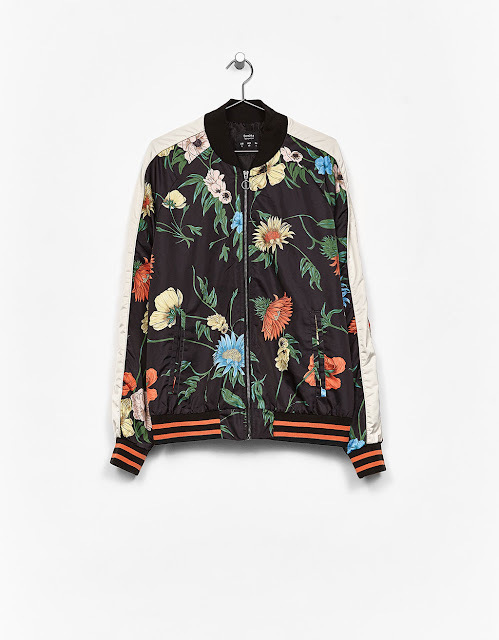 Taking an expected tropical pattern and draining the colours from it makes for an interesting alternative. It's vital the make the most of the limited summer we get in the UK and that means breaking some rules regarding your style; especially if those rules are self imposed. 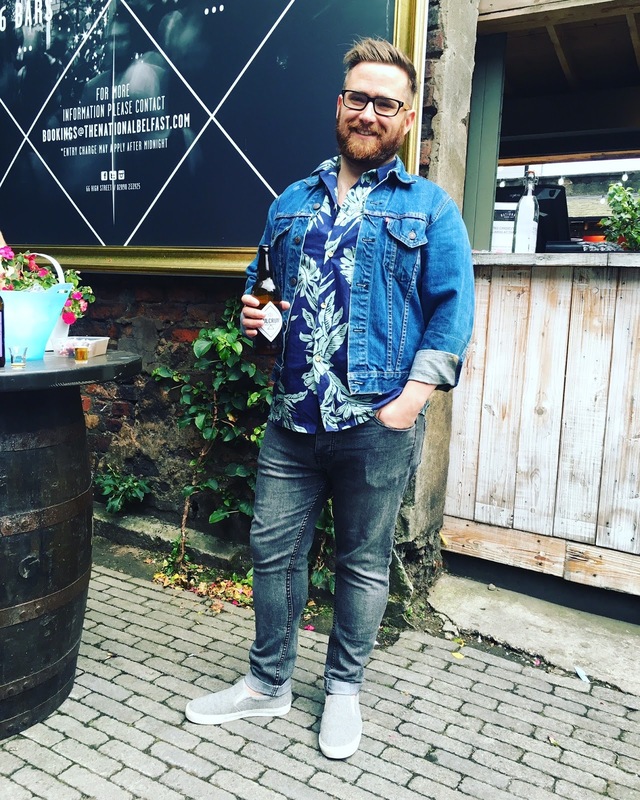 Limiting yourself with thoughts of I'm too old/fat/skinny/tall/short to wear that are keeping us all back from discovering and having fun with fashion. If we all looked and dressed the same, the world would be such a dull place. 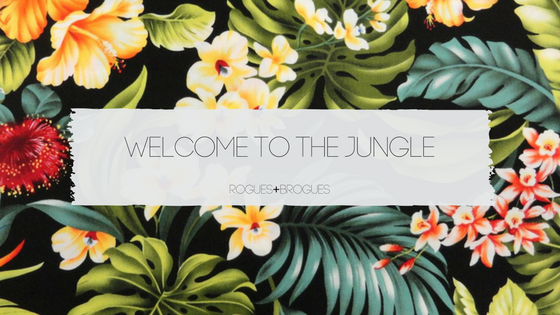 Go explore the jungle! It's no secret that I enjoy a good cup of coffee. A quick search through my blog archives will unearth several posts on my love of coffee and my love of local coffee shops. 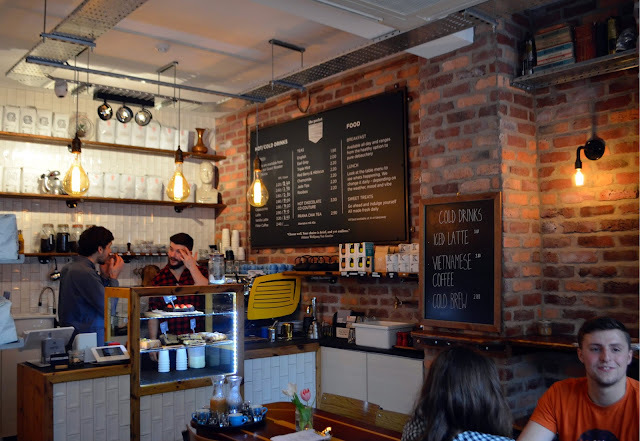 Combining all this, the recently launched Belfast Coffee Tour takes in several of these great stores with a healthy dander and some amazing coffee and company. The Belfast coffee scene is growing and this is a good thing. However, some bare bulbs, reclaimed furniture and a cafetiere do not a coffee shop make. 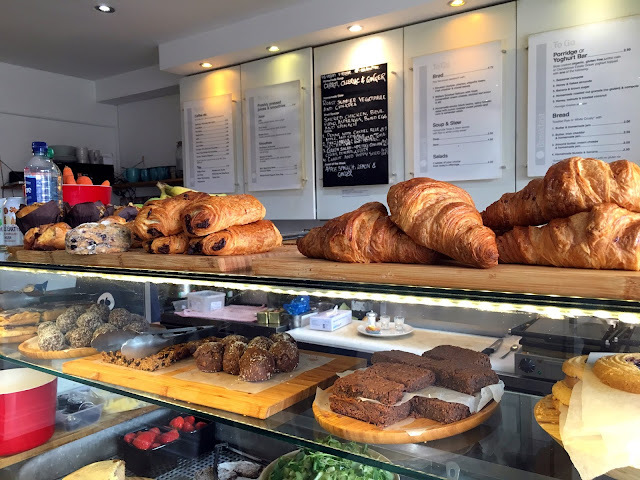 Without drive, passion and knowledge, there is no differentiating them from any other cafe offering your standard cappuccinos and lattes. What sets these businesses apart is the sheer amount of work and love that goes into their craft. And it is a craft. 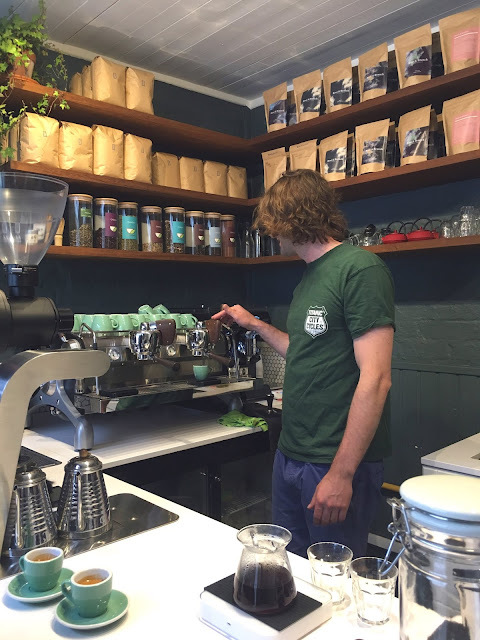 I am always astounded at the alchemy that goes into roasting, blending and brewing of coffee. We started our tour on Belfast's Ormeau Road. 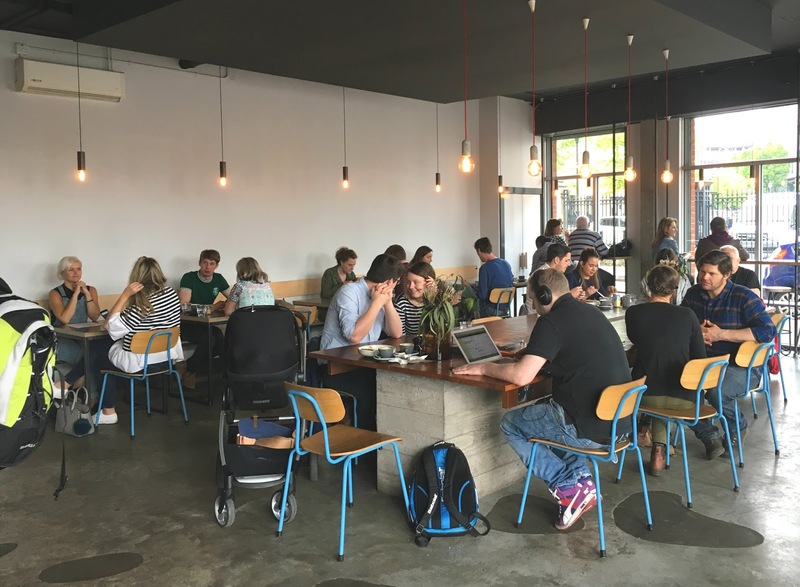 It is becoming something of an indie food destination with some truly great cafes, restaurants and coffee shops opening in the past few years. 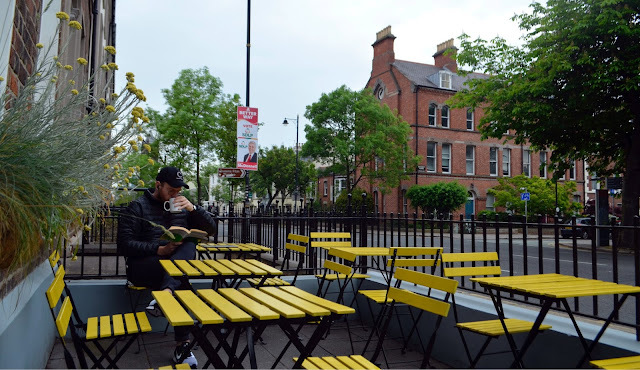 After downing a tasty espresso (and a sneaky affogato that was used for an Instagram post), we set off to our next destination, dandering down the Ormeau Road and cutting through Belfast's Botanic Gardens, we emerged in the Queens Quarter and our next stop; The Pocket. Living up to its diminutive namesake, The Pocket is set up in a refurbished Victorian terrace right on the doorstep of Queen's University. 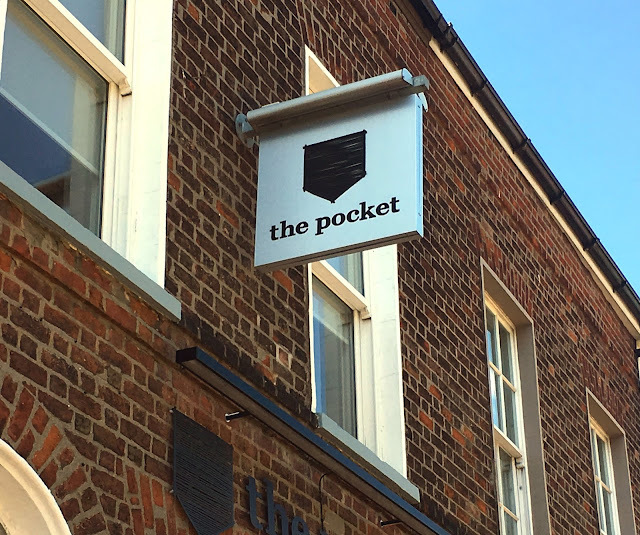 Offering soup and light lunches and delicious homemade donuts, The Pocket also serves one of my favourite types of cold coffee. I have a very sweet tooth but that doesn't always translate to my coffee, usually filter and without milk or sugar. However, I am a total convert to Vietnamese coffee which is an iced coffee made with condensed milk for a sweet, chilled treat. Made using Dublin's 3FE coffee, we were also treated to a smooth espresso as contrast to the milky sweetness of the Vietnamese. Crossing over to Botanic Avenue, we stopped at Kaffe O. 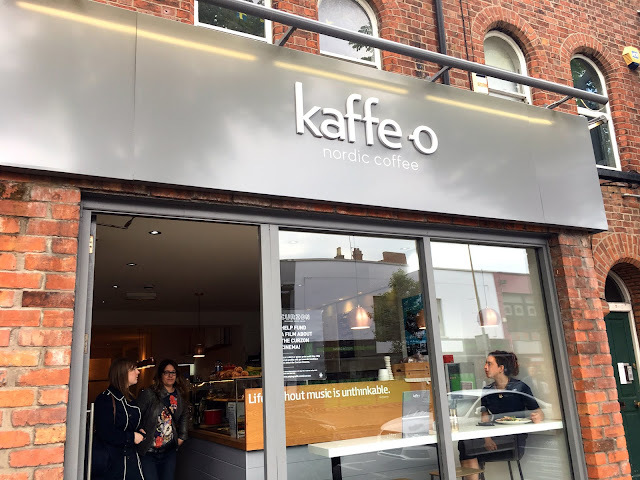 The bigger sister of the original Kaffe O on Ormeau Road, Kaffe O brings a Nordic flavour to Belfast. Hygge-hysteria is still in full swing so anything with a Scandi vibe encouraging comfort, warmth and a sense of wellbeing is welcomed. Serving a fusion of Mediterranean and Scandinavian food (panzanella with rye bread -yum!) and Ricco's coffee shipped directly from the roastery in Copenhagen twice a week. Continuing on Botanic Avenue, we arrived at our penultimate stop; Town Square. This hotel was previously a so-so restaurant but has reinvented itself as a cool bistro and coffee shop, winning awards for its menu and the work of its baristas. This was the first of our shops to offer a filter coffee to sample. 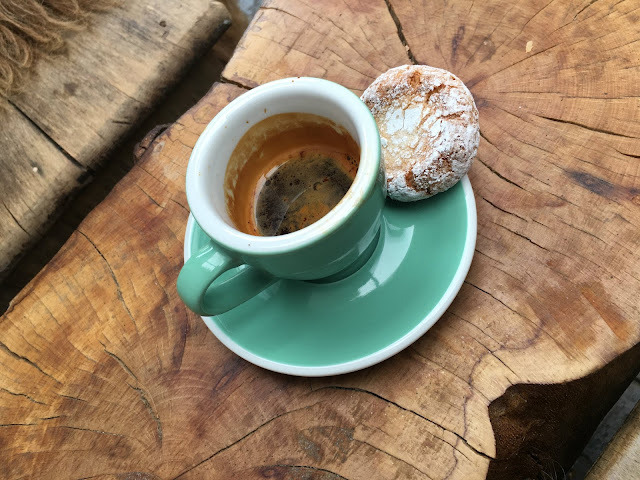 As much as I like the short hard hit of an espresso, I prefer the flavour profiles that you can only get with a filter coffee. 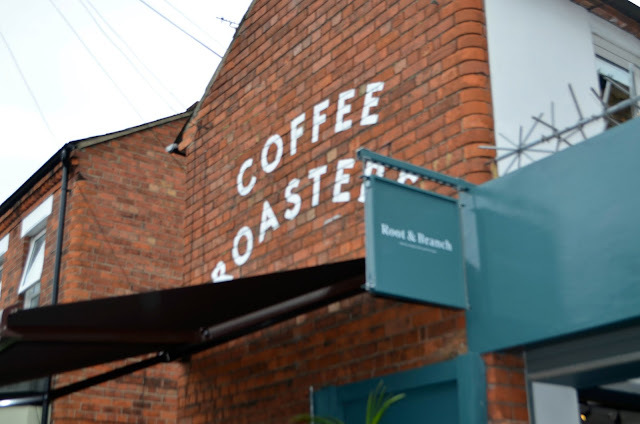 Using Roasted Brown Coffee from Dublin, Town Square are a relatively new face in the coffee family but have made a name for themselves winning 1st & 2nd places in the 2016 NI Aeropress Championships. We finished our tour in Belfast city centre in one of my usual coffee haunts; Established. A modern, California-inspired interior with a big shared social space for creatives and bloggers to work, serving great food and great coffee. 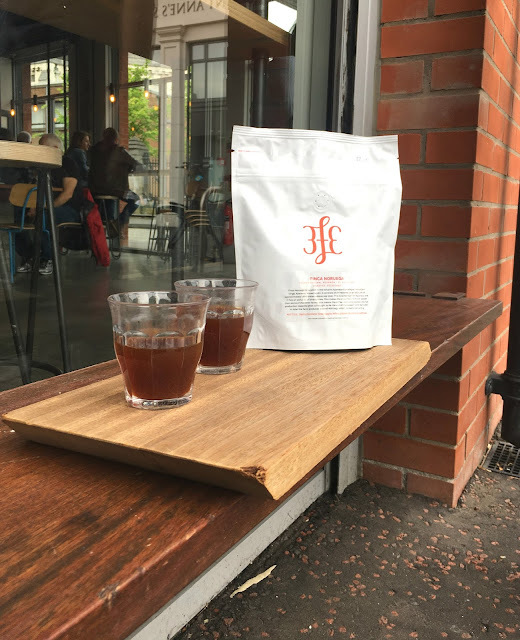 Another user of 3FE coffee, this time we were treated to it as a filter (my preferred style). A filter coffee was something previously looked down upon, seen as a lesser version of elaborate milk combinations of lattes and such. However, in my opinion, there is no better way to experience the fragrance and flavours of coffee than with a drip filtered coffee. The aromas and tastes change so much according to the water:coffee ratio, the temperature, the grind size; the list goes on. 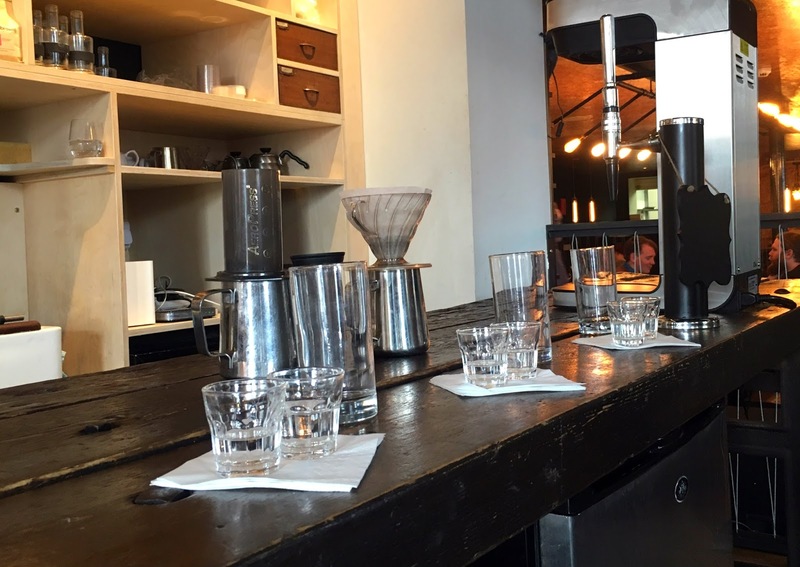 So the next time you're meeting for a coffee, skip the foam and ask for a filter! 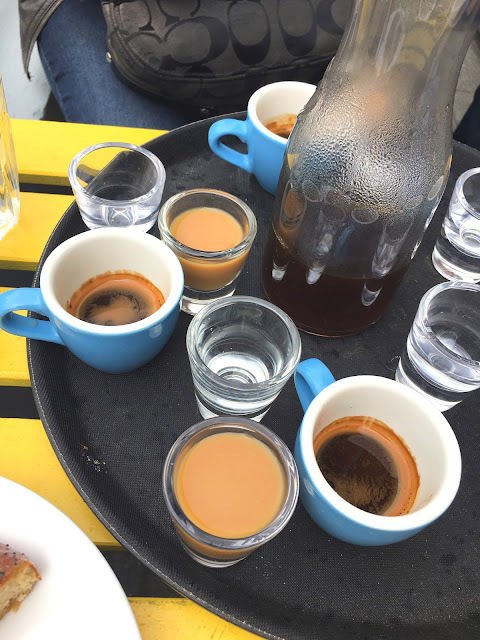 The Belfast Coffee Tours is the brainchild of historian and tour guide Thérèse. 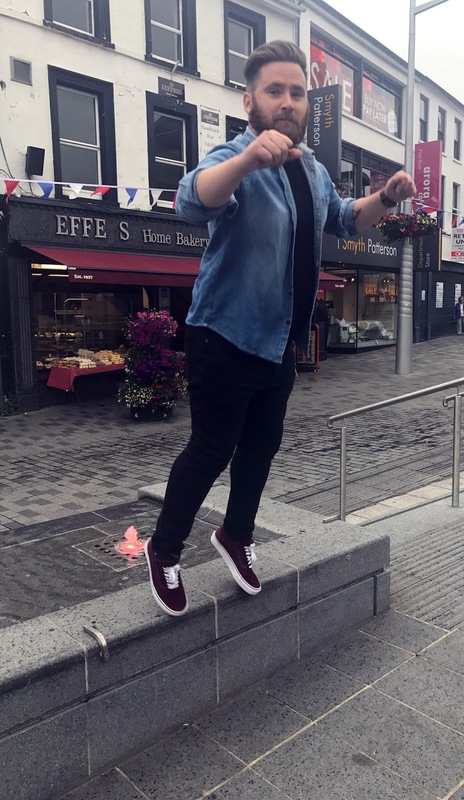 Her background in history brings life to the streets of Belfast, combining this with a love of coffee and it's a fantastic way to spend a Saturday morning. The tours are usually held around twice a month, meeting on Saturdays. The next tour is scheduled for 29th July and spaces can be booked here. Kaffe O, Town Square and Established for making us so welcome.